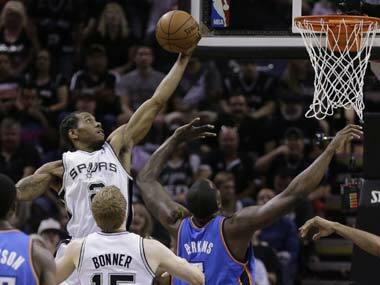 Russell Westbrook had 40 points and 10 assists, helping the Oklahoma City Thunder beat the San Antonio Spurs 105-92 on Tuesday night to level the Western Conference finals at 2-2. 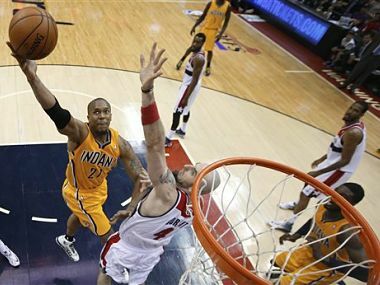 Indiana and Oklahoma City clinched series victories on Thursday to advance to a familiar-looking final four teams in the NBA playoffs. 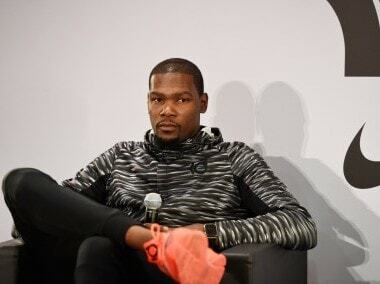 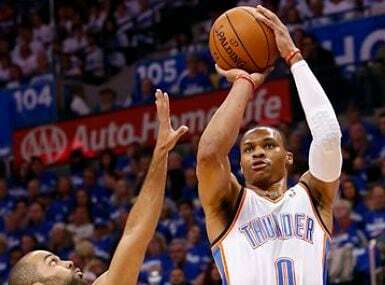 The Oklahoma City Thunder star received the league's top individual honor on Tuesday, earning 119 first-place votes. 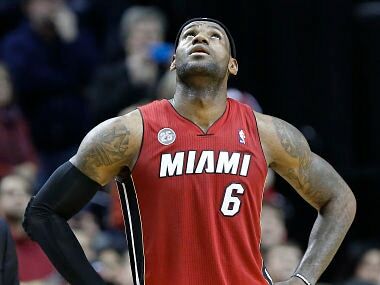 Miami's LeBron James, who won the last two MVP awards and four of the previous five, finished second. 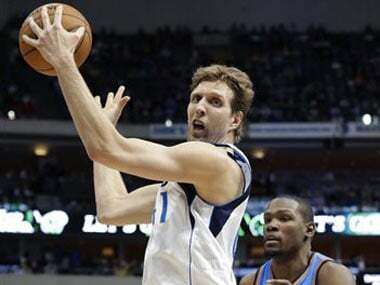 Nowitzki also had 10 rebounds and six assists. 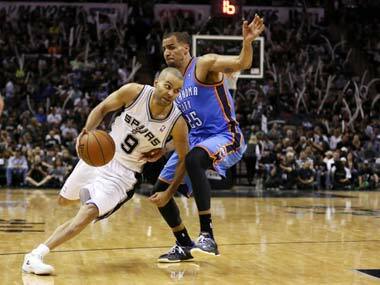 In Dallas' loss to Brooklyn on Sunday, he was 2 for 12 from the field in his worst shooting performance of the season. 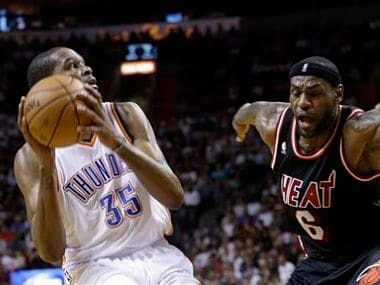 James scored 16 of his 33 points in the first quarter to put the Thunder in a bind, and the Heat rolled to a lopsided win. 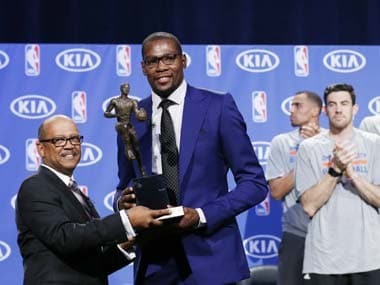 Kevin Durant scored 33 points and Serge Ibaka added 22 as the Oklahoma City Thunder came back from 18 points down to beat the Miami Heat 112-95 on Wednesday for their ninth straight win. 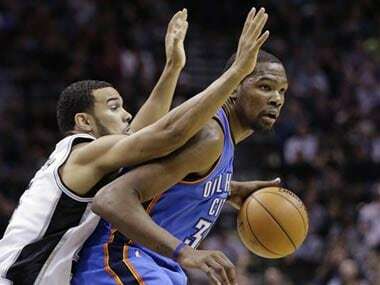 Durant had 36 points — he is averaging 38 over his past 11 games — with two thirds of those coming after San Antonio lost its top defensive stopper Kawhi Leonard to a hand fracture late in the first half.